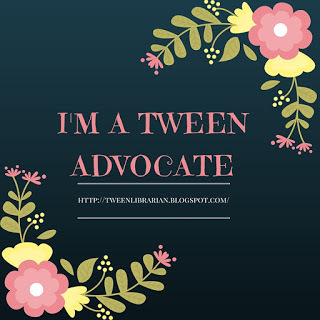 Tween Tuesday is a weekly meme hosted here at GreenBeanTeenQueen. Tweens need great reads too, so this meme highlights great books for tween readers. Join the fun and post your Tween Tuesday post in the Mister Linky below. After reading Mockingjay, I was talking to a co-worker who said she thought the The Hunger Games was good for tweens, while Mockingjay was more for older readers. With the rise in popularity of dystopian fiction, I thought I'd share some great tween dystopian reads. -The Maze Runner by James Dashner-Thomas wakes up in an elevator lift with no memories and in a strange new place called The Glade. Some of the teens in The Glade are runners, who run through a maze, but you don't want to be there after dark. Maybe if you find a way out of the maze, maybe the Gladers will find answers to who they are and why they're there. -The City of Ember by Jeanne DuPrau-The lights in Ember are beginning to fail. When Lina finds an ancient message, she believes it holds the answers to what's happening in Ember-and how they can save the city. -Gone by Michael Grant-Everyone is gone-everyone except those under the age of fourteen. No adults, no rules, no help-now what? -Among the Hidden by Margaret Peterson Haddix-Luke has lived his life in hiding because he is a forbidden third child. But when he discovers there more be more like him, will he be able to stop living in secret? -Epic by Conor Kostick-What if everything in life was decided by video games? -The Giver by Lois Lowry-Jonas lives in an ideal society. On career assignment day, Jonas is chosen to be the Reciever of Memories. As Jonas studies, he learns that his society wasn't always perfect-shouldn't those memories be shared? Have any more tween dystopias? Please share! I just read THE LIMIT by Kristin Landon which would be great for tweens! I just posted the dystopian novels that I've tagged since blogging. I'm sure I've missed some b/c Catching Fire wasn't tagged as dystopian. The Last Book in the Universe by Philbrick and The Girl Who Owned a City by Nelson. I've never been a huge fan of dystopia. That being said, The Giver was my favorite book as a teen. I also like Margaret Peterson Haddix's books, although I find them very disturbing (like most dystopia). I think I like The Giver despite its genre because the oppressiveness of the government, while clearly there, is subtle and cloaked in benevolence. It's easier to read when Jonas's world feels friendly even if he faces huge limitations and obstacles (such as poor Gabriel). Great job adding a Linky! I need to finally get The Maze Runner done. That has to be a goal this fall!! I added Ship Breaker to the list. While it's pretty intense for some tweens, I think most would love it and the writing is pretty accessible to younger readers. I love The Giver and The Hunger Games trilogy. Good list! I remember being really shocked by all the violence in Gone, though. But, it probably isn't any more violent than Hunger Games. Sometimes I think I'm just more sensitive to it. Here's my Tween Tuesday post. I love Haddix's Among the Hidden. I picked it up for a children's lit class and spent the rest of the semester finishing the series. Great list! I haven't reviewed it yet, but I'd like to throw out there Raider's Ransom by Emily Diamand. It's an excellent dystopian adventure. "Children's Books: Dystopian Novels for Teens, Present and Future"
My favorite is Dark Life by Kat Falls. I couldn't put it down. Great suggestions. My nephew read Gone, but I'm pretty sure my daughter didn't. Will have to recommend it to her. I think that Life As We Knew It is pretty tween-friendly, and the other 2 in the series don't get more mature. I agree about the books in the Hunger Games getting more mature. After reading the first one, I was worried that it would get too "romantic" but Catching Fire was okay. Mockingjay did have a more mature feel, but my 12 yo still loved it. Great list! There are a few here that are new to me. Does Gregor the Overlander count? Because Gregor's life is normal but the Underlanders are dystopian all over the place! Although it's cheating because it's by the Suzanne Collins.